Debra Donnelly has worked in Hexham now for over thirty years and during that time has always held the ambition and desire to create a special space that allows people to feel welcomed, safe and nurtured. In setting up ‘Hands On’ in 2003 her dreams were fulfilled and over the years Debra has built up a strong following of clients. Travelling far and wide they remain loyal to her, introducing their family and friends to the healing, calming environment of ‘Hands On’. It is this diversity that really gives ‘Hands On’ its feeling of community, family and sense of place. The ‘Hands On’ experience is a very special one and it is Debra’s desire to bring peace, tranquillity and harmony to our hectic lives. The healing energy Debra uses in her 'Healing Touch' treatments together with massage, essential oils and visualistion adds another dimension, encompassing emotional and mental levels as well as physical, and is uniquely tailored to the client's needs. 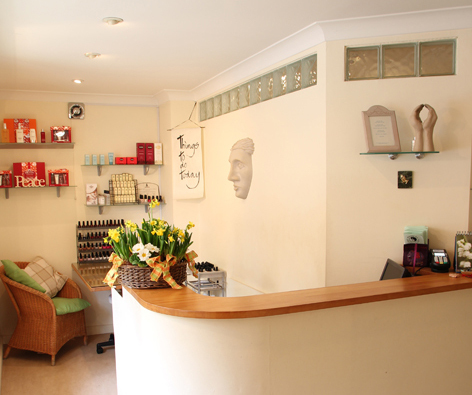 She was also the first therapist in the north-east of England to train and qualify as a Dr Hauschka esthetician. The Dr.Hauschka Rhythmic Treatments use a holistic approach to support the skin's inherent ability to regulate and heal itself. They are restoring, harmonising experiences, bringing relief and strength to all skin conditions. Let the stress of the day melt away in the warmth and pampering that you will experience at ‘Hands On’.